Mulch it! Mulch it good! Before our hot summer rears its warm, ugly head, It's time to start thinking about mulching your gardens. 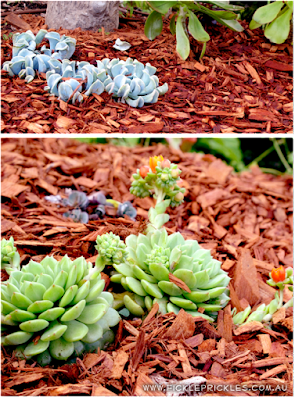 You may not realise it, but succulents benefit greatly from a good mulching too! 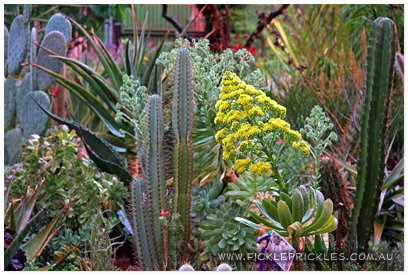 In this photo: Echeveria 'Topsy Turvy' and Echeveria 'Dondo'. Here, we have used Red Gum wood chips because of the nice red colour, but you can use whatever is available - wood chips, pebbles, gravel - It's up to your imagination. TIP - Make sure you lay it on thick! For wood chips, 100mm thick will do the job nicely. ALSO, make sure you keep the mulch away from the base of your plants (unlike our photo here!) - this helps to prevent rotting at the base of your plants. So...How much mulch will I need, and where do I get it from? 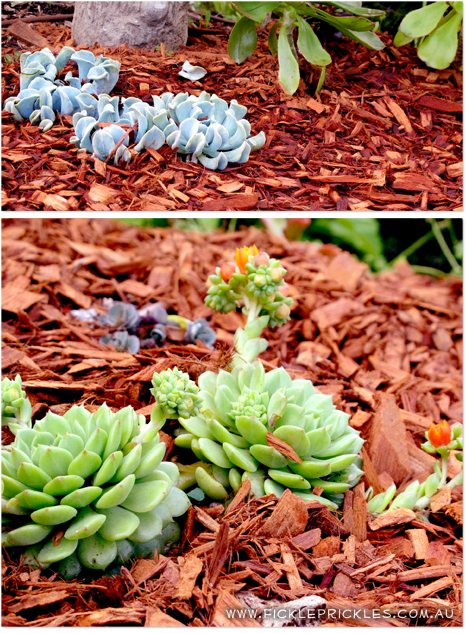 So go out there and have some fun mulching your succulents! 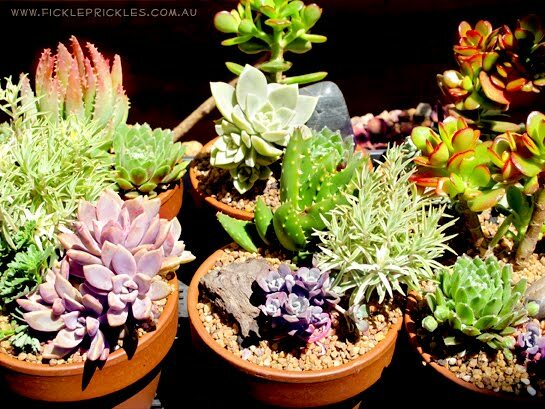 Brighten up the patio with some potted colour, succulent style! 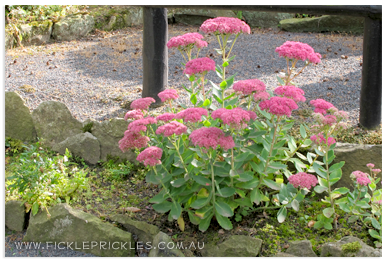 There are some vibrant reds available at the moment, like Crassula erosula Campfire, or Crassula fusca. Give your garden some colour too, with some Aloe Walmsleys Blue, or Aloe Black Gem. So, what's the tip to making them look outstanding? 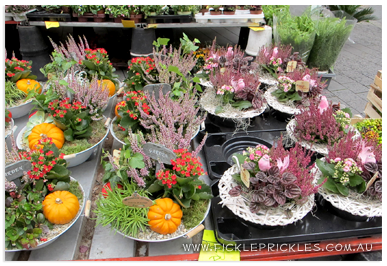 Whether it is in a pot or in the ground they need to be tightly packed. This creates not only an aesthetically appealing appearance, but it also makes a mini micro climate where each plant protects the others from severe heat, cold or any other undesirable elements. 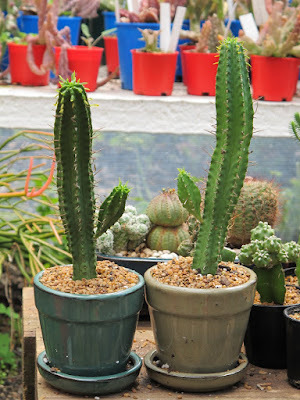 Is your Cactus looking Cactus? 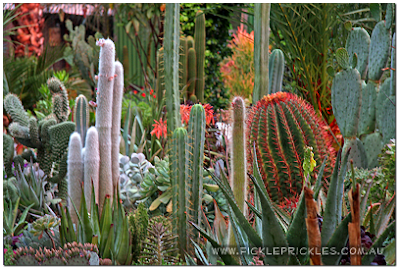 Is your Cactus looking Cactus??? Is your cactus looking a little sad and depressed at the moment? Well, don't stress out about it too much, because you might find that he's just suffering from the Winter Blues! 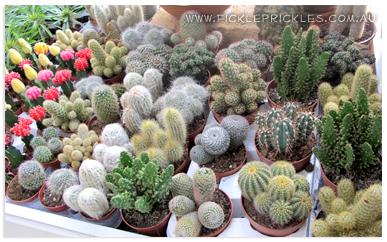 During the winter months most species of cacti tend to go into a dormant state, and because of this they don’t like very much water. So... Are you guilty of over-watering your cactus this month? If you are, this may be the reason why he looks a little on the sad side - his roots may be sitting in water and slowly rotting away. If this is the case, let him dry out and you will find that he will bounce back when the weather warms up. So remember - during the winter months, let your cacti dry out between waterings. They will love you for it!! !